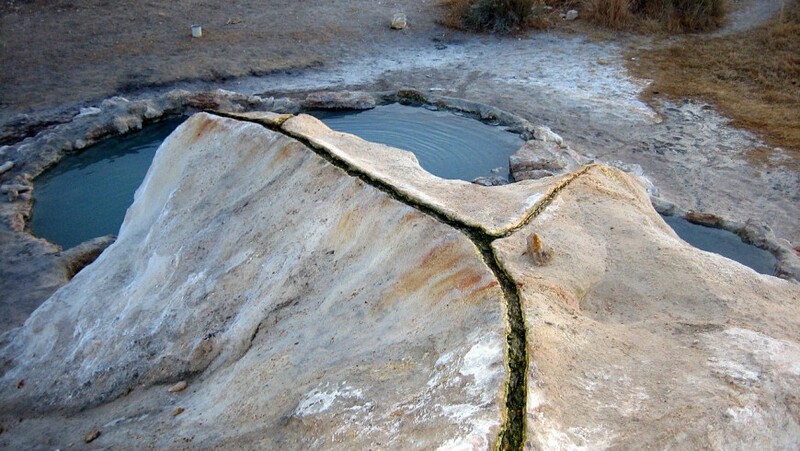 Natural hot springs: Mother Nature’s jacuzzi. Those who follow us already know how much we like them: we have traveled around Italy to find the best ones, we have dreamed of reaching the most beautiful natural pools in the world. This time we went in search of the natural hot springs of California. We discovered that the Golden State not only guards incredible national parks, beautiful beaches, the perfect sea for surfing and snow-covered mountains, but also beautiful natural pools immersed in wild landscapes and filled by the water that flows from the heart of the Earth. Those who visit California and want to dedicate themselves to their well-being, can forget the expensive SPAs and discover the healing properties of the warm sulphurous waters of the more than 300 natural hot springs in the area, all without spending a dollar. Among the many hot springs of California we have chosen 10: ready for a journey of relaxation and nature? Let’s start with what are perhaps the most famous hot springs of California: Travertine Hot Springs are not far from the city of Bridgeport. Easy to get to, they are made up of several natural pools and offer incredible views of the Sierra Nevada mountains. Using thermal springs, some volunteers have built pools where people can dive and enjoy the healing properties of the water and a wild and indescribable landscape. These remote hot springs hidden in northern California are at high altitude and can be reached throughout the year with a fairly challenging 21 kilometers trail. 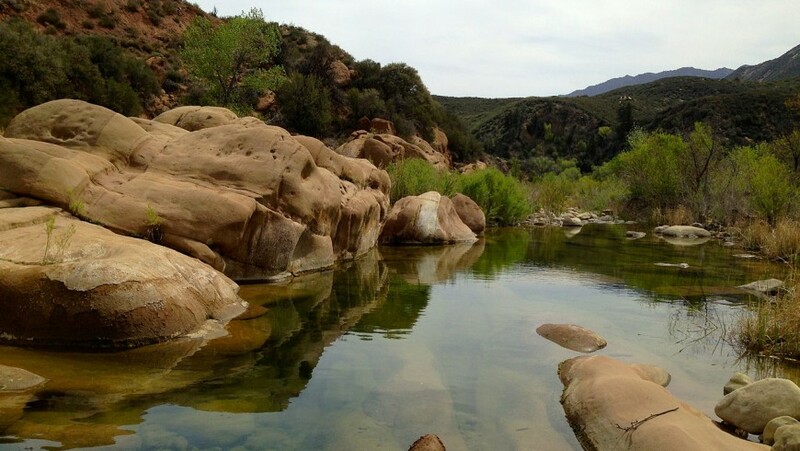 A warm river flows in the Southern California desert: Sespe Hot Springs offer a rare peace, in a remote and wild place. The river creates several pools perfect for relaxing after a beautiful but challenging trail. In a desolate and overwhelming corner of Death Valley you will find beautiful natural pools surrounded by palm trees. They are hard to find but this makes the experience even more exciting. We stay in the Death Valley to discover another one of its gems. The desert, an incredible sunset and you immersed in a small pool of warm and regenerative water while watching the sun go down behind the mountains: does not it seem an idyllic moment? Along Kern river, four pools have been built that collect hot and sulphurous water, with temperatures ranging from 35 to 40 celsius degrees. Listening to the rapids of the river you can admire an incredible starry sky and find a deep connection with nature. One hour from San Francisco, just steps from the cold Pacific Ocean. The low tide reveals pools of hot and sulphurous water: Steep Ravine springs are truly unique and suggestive, kept and maintained by the locals. Among the most beautiful natural hot springs of California could not miss those of Buckeye, not far from the most famous Travertine. This is also an idyllic place, and boasts beautiful views of the creek and of Eastern Sierra mountains. Crowley Hot Springs, also known as Wild Willy’s Hot Springs, are located in the Mammoth Lakes area and are easily reached via a wooden raised walkway. Two pools: one three meters wide and one meter deep, the other shaped like a heart, warmer and with an unusual and beautiful deep blue color. The surrounding landscape is indescribable. 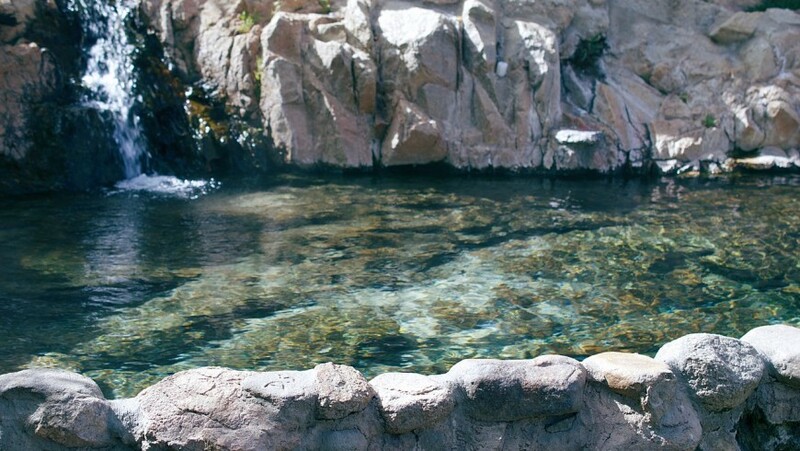 The last natural hot springs of California we recommend are located at the foot of the San Bernardino Mountains. Between spectacular landscapes, you will find both hot and cold water tanks. Deep Creek Hot Springs are accessible via the Freedom Trail and the Pacific Crest Trail. This entry was posted in weekend and tagged California, ecotourism, hot springs, hot springs of California, mountain, natural parks, natural wellness, nature, slow travel, sustainable tourism, USA, wellness, wellness holiday. Bookmark the permalink.